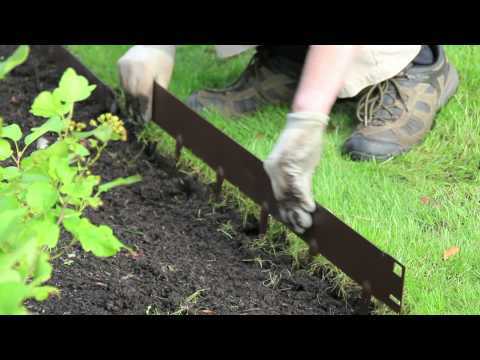 EverEdge Titan steel landscape edging has been a staple of the EverEdge range for over a decade. Made in a variety of heights, thicknesses and finishes, EverEdge Titan is the perfect product where a stronger or deeper edge might be required. In 2018, sales of the Titan range rocketed as the versatility of the product became more commonly known. Throughout the year, EverEdge Titan has been used in projects of all shapes and sizes. From creating a traditional parterre to edging a new asphalt pathway, such as in the picture, Titan is built to do it all. Flexible and strong, EverEdge Titan is the perfect product for edging in public spaces such as parks, historic houses and public buildings. As with anything in life, the key to installing EverEdge Titan is good preparation. Ensure that the groundwork is done before installation and EverEdge Titan can be quickly and easily installed using a simple bolt together system and fixing spikes to hold the edging in place.